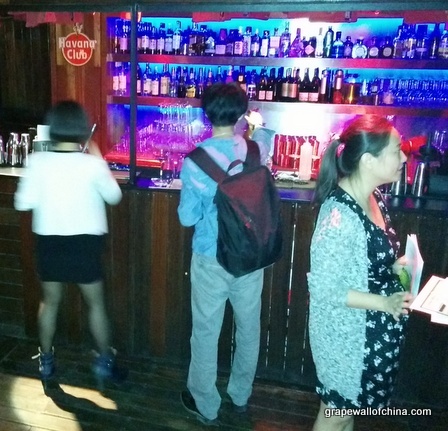 Forty consumers took to the streets of Beijing last night as part of the first China Wine Tour held in Sanlitun, the city’s most famous Western bar and restaurant area. 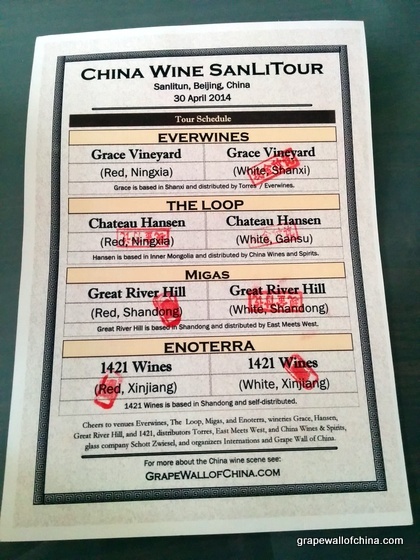 The tour kicked off at Everwines, where attendees paid rmb100 each and received a glass — a nice Schott Zwiesel number to take home at the end of the night — and a “passport” that was stamped as they drank each wine. 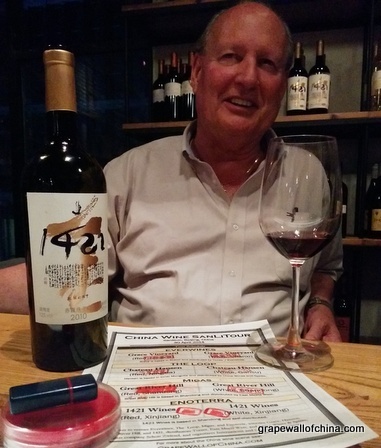 We then tried the first two wines, from Grace Vineyard, before heading to wine shop The Loop for Chateau Hansen and restaurant, bar and lounge Migas for Great River Hill before finishing at wine bar Enoterra with 1421. In all, we tasted wines from six provinces and regions, including Shandong, Shanxi, Ningxia, Inner Mongolia, Gansu and Xinjiang. I have had this tour idea in mind for a long time but it had become one of those projects always just over the horizon. After talking to several venue owners and distributors last week, we went for it, with most of the attendees hailing from Internations. I also invited a few journalists and some friends I trust for their bluntness and whose comments will no doubt help fine-tune — we had a few issues — any future tours. I’ll have a longer write-up and more photos soon. And if there is enough interest, I’m happy to organize China Wine SanLiTour 2.0, or perhaps a wine tour in the hutongs, although next time I suggest doing it on a Saturday afternoon / early evening. If you want to be kept updated on such tours, let me know at beijingboyce (at) yahoo.com. 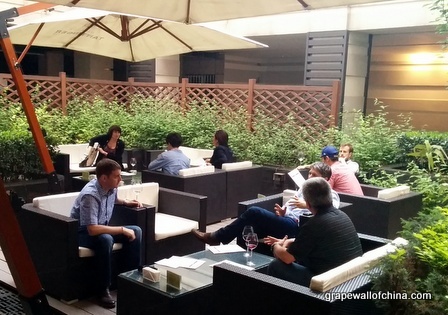 Finally, kudos to all those involved, including social group Internations, venues Everwines, The Loop, Migas and Enoterra, wineries Grace, Hansen, Great River Hill and 1421, distributors Torres, East Meets West and China Wines and Spirits, and glass company Schott Zwiesel.